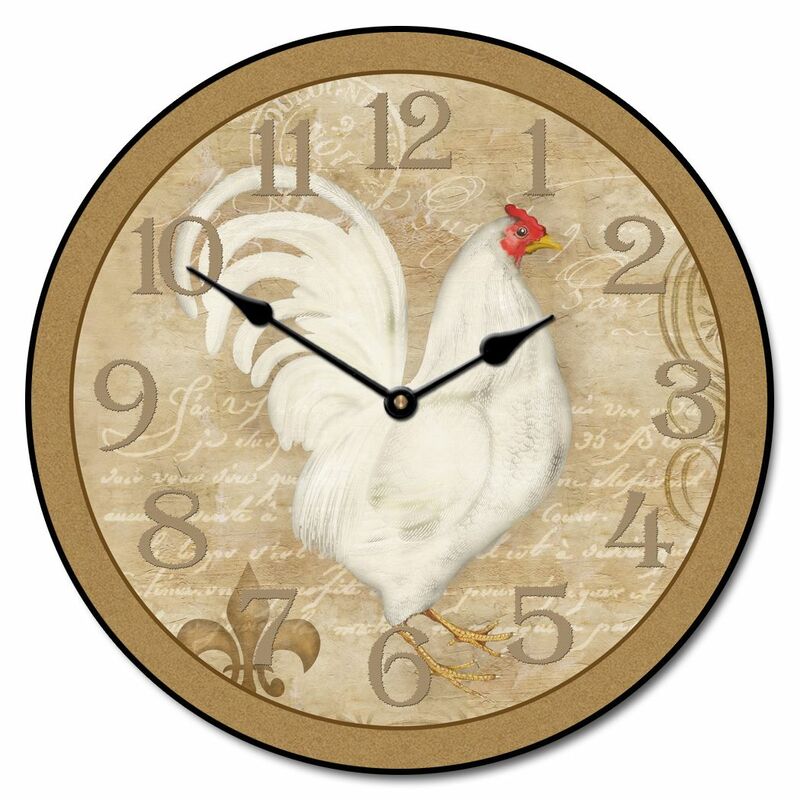 a tan beige background and writing in French script throughout the clocks face gives this beautiful clock a charming and unique look. Quite Quartz Movement, One AA battery is required, not included. THREE YEAR MANUFACTURE WARRANTY ON THE MECHINISM.